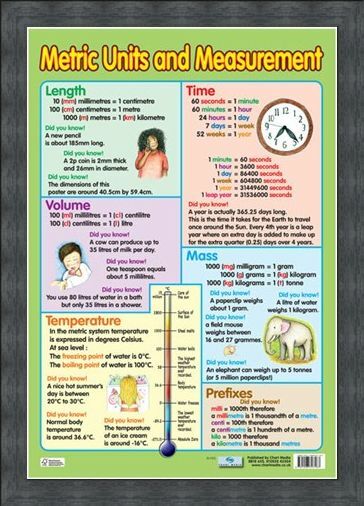 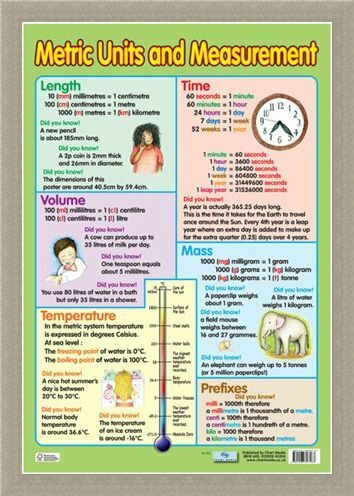 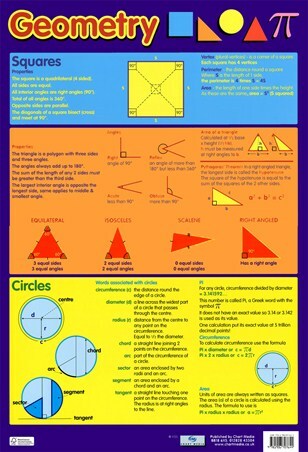 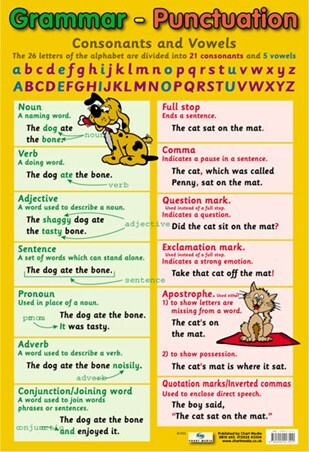 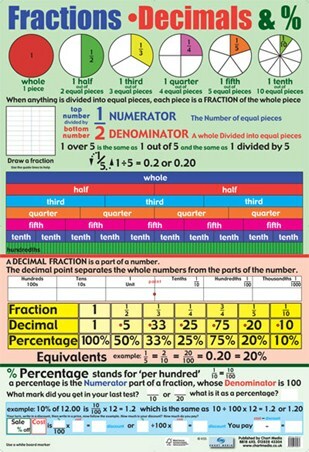 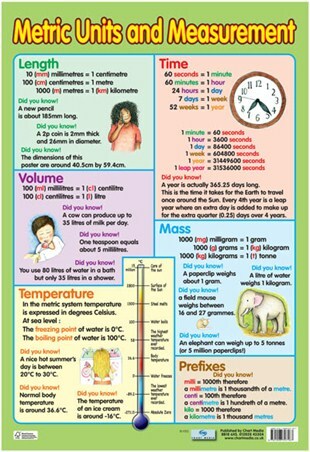 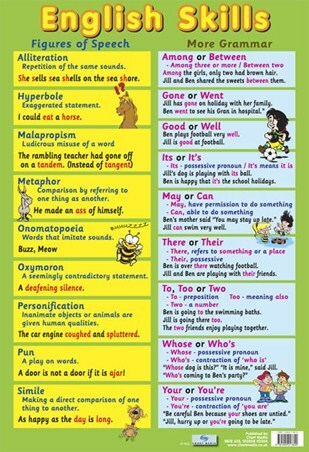 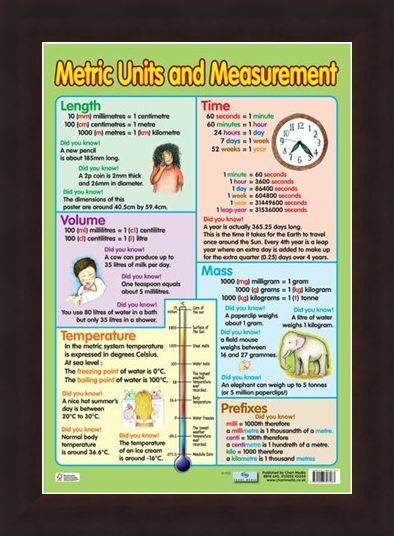 Metric Units and Measurements Mini Poster: This glossy educational poster is just the thing your child needs as they start to learn metric units and measurements. 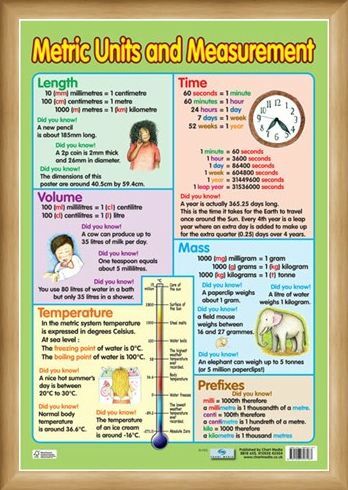 Bursting with information on length, time, volume, mass and temperate as well as an explanation of the prefixes used in measurement such as milli and kilo. 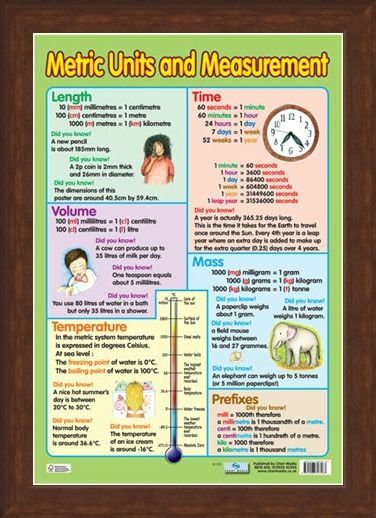 Your child can learn about the length of a new pencil, how many litres of water they use in their bath, what the temperature of their ice cream is, how hot the sun is and what an elephant weighs as well as many more facts. 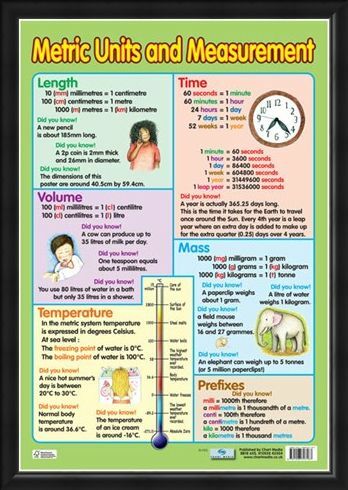 This is a great starting point for your child as they get into more advanced science and maths and with it's colourful and bright design, they will be eager to learn all they can. 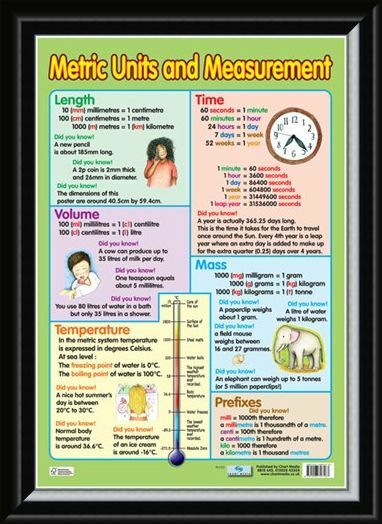 High quality, framed Metric Units and Measurement, Educational Children's Chart mini poster with a bespoke frame by our custom framing service.